Anti-corruption specialists from the Korea Hydro and Nuclear Power Company (KHNP) and some of the country’s other leading energy and rail firms completed a tailor-made training at IACA today. In addition to KHNP, the participants came from Korea Electric Power Corporation, Korea Midland Power Company, Korea Rail Network Authority, and Korea Electric Power Corporation – Nuclear Fuel. The five-day programme featured external and internal IACA lecturers and covered themes including fraud detection and prevention, public sector corruption, international efforts to curb corruption, comparative studies on anti-corruption policies, and organizational integrity. Complementing these classroom sessions were study visits to the United Nations Office on Drugs and Crime (UNODC) and the International Atomic Energy Agency (IAEA). 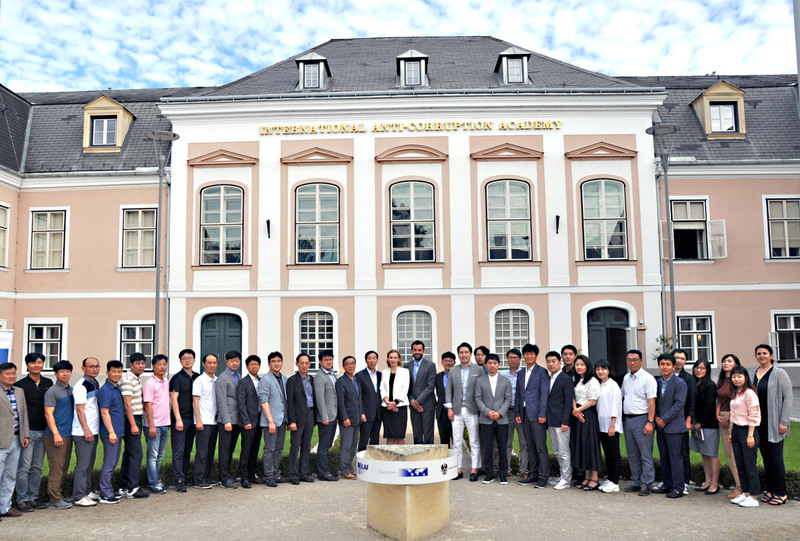 IACA previously delivered tailor-made trainings for representatives of the Korean energy sector (including KHNP) in June 2016 and for KHNP officials in September 2015.